Here’s a simple way to remember what to check. Rain or shine, it pays to give the car a good check over every couple of weeks – you could prevent a breakdown and perhaps a large, unwelcome bill. Top up when you pass a filling station rather than delay looking for one until the fuel light comes on – particularly if you’re driving in an unfamiliar area. Clean all exterior lights regularly and check for blown bulbs and cracks in the lens. Cars can consume as much as a litre of oil every 1,000 miles. Check the oil level regularly (your handbook will show you how). 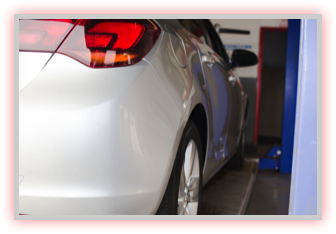 Don’t wait for the red oil pressure warning light to come on - engine damage may already have occurred by then. Overheating is a common cause of breakdowns, especially in hotter weather. Check the coolant level regularly (the handbook will show you how) and if the level always seems low, check for leakages. Top up the windscreen washer fluid too. Battery problems are the number one cause of breakdowns at any time of year. Renew an old, tired battery before it lets you down. Also make sure that your electric radiator cooling fan starts running when the engine gets hot – you can check this by running the engine with the car stationary. Incorrectly inflated tyres are not only unsafe, they wear out faster and can increase fuel consumption by around 5%. If you’re driving with extra passengers or luggage, remember to increase your tyre pressure accordingly (see your handbook).